As a Strategist, Mr von Pfyffer is responsible for the tactical & strategic asset allocation of investments by using econometric systems to model various asset classes and financial instruments. Financial markets experience since 1996 has been attained through roles in New York, London, Spain, Switzerland and Australia. The investment strategies devised and implemented by Marcel are based on absolute return objectives and cover global asset classes of commodities, equities, bonds and currencies. He actively manages international equities portfolios, physical commodities exposure and major FX pairs. He is an independent member of a number of private companies’ and Trusts’ investment committees advising on Foreign Exchange markets, Commodities forecasts, Equities portfolio construction and Economic Leading Indicators for the global macroeconomic outlook. He has a regular fortnightly interview on Sky Business Channel with Peter Switzer discussing international financial markets’ conditions; presents on ABC Radio National and to select Federal government Senators and MPs giving global macroeconomic outlook updates. His investment career began as a Financial Markets Economist and has included roles as Director of Global Macro Strategy and Equities Strategist, within firms including Banco Santander and Goldman Sachs. Firms that Marcel has held roles at include: ABN Amro; Abbey Bank (UK); Abacus Global (now RBC Capital Markets), Jersey, Channel Islands; Banco Santander (London); Goldman Sachs (London); A Private Foundation (Stiftung) in Zurich; RBS. Mr Colledge has extensive expertise in securities with more than 37 years of using quantitative and qualitative methods to assess companies and industries, in both stockbroking and funds management. As a fund manager and analyst for Queensland Investment Corporation (“QIC”) Neill has covered most sectors of the Australian share market. He joined QIC in 1990 as its seventh employee, becoming Head of Research for Australian equities in 1992. In this role he introduced a rigorous stock selection process as well as quantitative portfolio management methods. In addition to managing a successful A-REIT Fund for QIC, he also managed an Australian equities fund of up to $11 billion, which outperformed the benchmark S&P/ASX 200 accumulation index over eight years and in seven out of eight years individually. 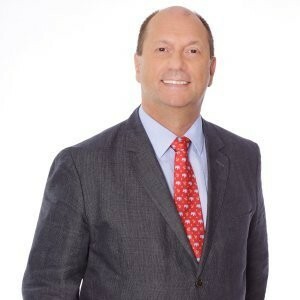 Neill brings seventeen years of experience in investment decision-making, portfolio construction, performance measurement, transaction execution and research management for QIC in addition to his twelve years of experience in institutional stockbroking as a research analyst, including participation in equity capital markets and M&A. In 2004 Neill was requested by the Board of QIC to take over the role of CEO of their Biocapital funds, where he successfully increased the number of investments from two in November 2004 to seventeen by March 2007, taking the $100m portfolio to a fully invested position. Neill has extensive theoretical and practical knowledge in assessing and managing credit, investment, market and operational risks. 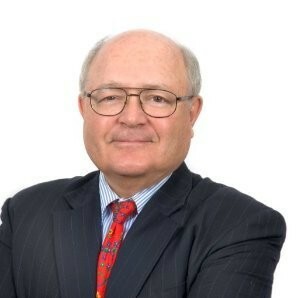 Neill previously held roles at Bain & Co., McDougall & Co. and J & J North. Dr. Patrick Caragata is Founder & Exec Vice Chairman of Rapid Ratings International Inc., a US based risk and ratings agency. He is a recognized authority on credit rating models, taxation, company risk assessment and corporate governance. 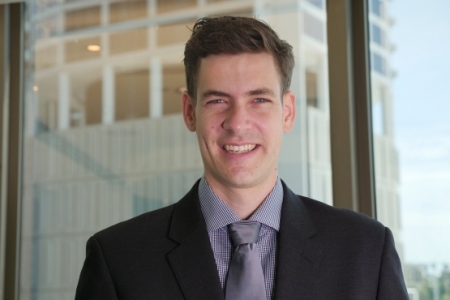 He is a former Chief Tax Policy Advisor and Special Adviser Taxation Economics to the New Zealand Inland Revenue Department; Chief Economist, New Zealand Ministry of Energy; and Senior Economist International at Toronto-Dominion Bank. Dr. Caragata was Rapid Ratings’ CEO until 2006, when he changed roles to Exec Vice Chairman. Prior to founding Rapid Ratings™, Dr. Caragata was Managing Director, McCallum Petterson Financial Diagnostics in New Zealand from 1997 to 2001. Prior positions include: Chief Tax Policy Advisor and Special Adviser Taxation Economics with the New Zealand Inland Revenue Department (1991-1997); Chief Economist, New Zealand Ministry of Energy (1988-1991); Senior Advisor, Investment Canada (Canada-US Free Trade Agreement, 1986-1988); Senior Economist International at Toronto-Dominion Bank – head of the group producing country risk reports and exchange rate forecasts for 65 countries (1983-1986), and Manager International Policy with both the Canadian Chamber of Commerce and Canadian Council International Chamber of Commerce (1981-83). Dr. Caragata is a Fellow of the Australian Institute of Management and has authored five books including Business Early Warning Systems: Corporate Governance for the New Millennium. He has a PhD from the University of Toronto (1981). Full disclosure and disclaimer: Dr. Caragata, who lives in Australia, is not a shareholder in Arminius Capital Advisory nor is he a paid employee , a paid director or a paid adviser. He is an independent unpaid adviser on risk in the investment market given his vast experience. His role does not imply that Rapid Ratings International supports Arminius Capital Advisory or its investment strategies. Arminius does not currently buy Rapid Ratings’ products and services because they are not offered in Australia. Ms McKenna has extensive experience as a senior legal executive in a number of industries, including funds management, retail financial services, institutional banking, stockbroking, insurance, energy supply, and aged care. Her most recent roles have included Head of Compliance for Sumitomo Mitsubishi Banking Corporation , Regulatory Compliance Advisor for Lutheran Community Care, Risk & Compliance Manager for Energy Australia, and Compliance Manager for AMP Financial Services. Sue’s responsibilities have encompassed developing and implementing compliance frameworks, establishing and managing company policies and procedures, handling regulatory policy violations and investigations, training and mentoring staff, and assisting with company secretarial duties. Sue has particular experience in successfully dealing with regulators in several industries, including ASIC, APRA, AUSTRAC, IPART, the Office of Fair Trading, and the Energy Ombudsman. She holds a Bachelor of Laws from the University of Sydney, was admitted as a solicitor of the Supreme Court of NSW in 1983, and was admitted as a barrister and solicitor of the Supreme Court of Victoria in 1994. Mr Campbell brings extensive experience in the role as CFO. He graduated with a double degree in Accounting and Finance from the Queensland University of Technology, Australia, following other tertiary studies in the United States. Having been granted a registered tax agent license at the age of 22 and completing his Chartered Accounting degree, Mr Campbell founded a successful tax accountancy practice in Brisbane, Australia. After a number of years of the firm’s successful establishment, Luke accepted an offer to join a client of the firm in the sporting consumer goods industry to expand the business globally. Having set up offices in the United States and the United Kingdom, Mr Campbell led the growth of the global business from $3M to over $55M in 4 years. Along this growth path, he led the acquisition of a number of brands under his parent company across various industries, expanding distribution into 60 countries globally and employing over 100 full time staff across multiple jurisdictions. Mr Campbell has also been a director of Capstone Foundation Ltd since 2012, which is a not-for-profit entity with a philanthropic purpose to alleviate poverty and advance community development in developed, developing and under-developed countries all over the world. Mr Campbell is a member of both the Institute of Chartered Accountants Australia and New Zealand & the Australian Institute of Company Directors.